Guinea Pig Plush Stuffed Animal Toy Tri Color Abner is Guinea Pig Lover soft educational fun at Anwo.com Animal World®. 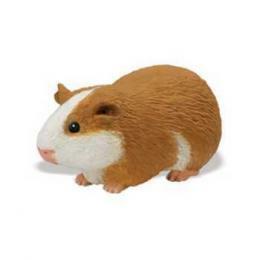 Featuring brown, gold, white super soft plush, this Tri Color Guinea pig plush stuffed animal toy has an adorable face and measures 9" long x 4.5" high x 4" wide. 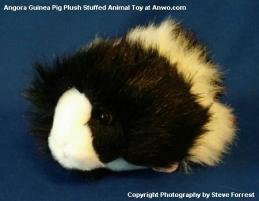 Shop our Guinea Pig Gifts Store at Animal World® for all our Guinea Pig gift ideas. For Ages 24 months and up. Meets or exceeds all US Government and ASTM F963-11 Safety Requirements.